Under the Georgia Code, title pawns are not the same as auto loans. 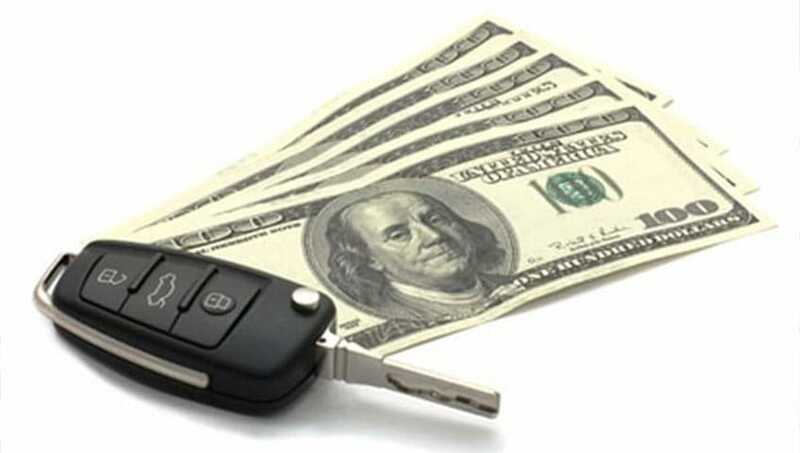 Auto loans are “purchase- money” loans used to finance the purchase of a vehicle, whereas title pawns are similar to the sale of a vehicle to a pawnbroker at the time the “loan” is made… subject to a specific “right of redemption”. As the result, the treatment of a title pawn in bankruptcy is different from the treatment of an auto loan, and poses problems. Typically, a title pawn is a transaction where the title to a vehicle is transferred to a pawnbroker in exchange for a loan. The transfer is subject to the borrower’s right to “redeem” the title. Under the Georgia Code, the transaction is treated like a sale (qualified by a right of redemption) whose terms are set forth in the pawn documents. Those documents normally provide that the entire debt is due to be repaid in 30 days, but that the time can be extended if monthly interest payments are made. In most title pawns, the borrower keeps “rolling over” the balance due by making interest payments, intending eventually to pay off the whole thing when money becomes available. If the borrower defaults, the pawn broker has the right to repossess the vehicle to recoup all or part of the debt. In a standard “purchase-money” auto loan, a buyer finances the purchase of a car, for example, from Ford Motor Credit. The buyer owes a debt to the lender, and the lender retains a “security interest” in the car to “secure” the timely repayment of the loan. If the buyer falls behind in the payments (“defaults”), the lender may repossess the vehicle. However, for either a standard auto loan or on a title pawn, the lender’s “security interest’ does not amount to complete ownership of the vehicle. In both cases, the borrower owns a “ right of redemption”, which is a property interest giving the borrower the power to get the vehicle back by paying the full outstanding balance owed to the lender. This may not seem like much of a “right” if the borrower is short on money. 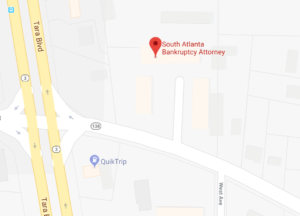 However, if a Debtor files a Chapter 13 bankruptcy, the fact that he had a right of redemption at the time that he filed bankruptcy means that the whole car becomes “property of the bankruptcy estate”. In that case, the borrower (“debtor”) can not only recover the repossessed vehicle, but he can also force the lender to allow him to repay the debt with reduced payments at a reduced interest rate over a period of up to five years. However, this “right of redemption” is different for a title pawn. On a standard auto loan, a borrower retains a right of redemption under the Georgia Code for at least 10 days after a car is repossessed. This right lasts until 10 days has run, or until the vehicle is sold, whichever occurs later in time. After ten days, and after a car is sold, the “right of redemption” is cut off, and the borrower has no further interest on the vehicle for most purposes under the Bankruptcy Code. On the other hand, so long as the right of redemption has not been cut off, the debtor still has the power to save and pay for his vehicle under Chapter 13.
in the vehicle, even if he is still driving it. Thus, if the borrower files for bankruptcy after his interest has been forfeited, the vehicle does not become “property of the estate”, for purposes of recovering the vehicle, and the debtor can’t force the lender to accept payments under the terms of a Chapter 13 plan. Without more, that’s the end of the story as far as most bankruptcy lawyers are concerned. However, there is authority in the Northern District of Georgia that may provide hope that a title pawn is not lost if Chapter 13 is filed, if some extra steps are taken. Under that case law, if the debtor has real equity in the vehicle (its value is greater than the amount of the debt), and if he “exempts” that equity, he may use the trustee’s power to recover property… even if the debtor himself has no further interest in the car under the pawn. The extra steps are as follows: “exemptions” would have to be properly claimed in the petition, and an “adversary proceeding” (separate suit in bankruptcy court) would have to be filed by the debtor’s lawyer. (These requirements can be complex, and you shouldn’t try to figure it out without a detailed discussion with a lawyer). This kind of “adversary proceeding” to recover a “fraudulent transfer”, basically admits that the debtor forfeited his interest prior to filing Chapter 13, but it invokes a provision of bankruptcy law that allows the judge to order such a transfer to be reversed to bring the vehicle into the estate on the theory that the lender took the property without paying “reasonably equivalent value” to the borrower, and that the property ought to be “administered” in the case. In Chapter 13, the important thing to know is that the debtor remains in control, to the same extent that he would for a standard auto loan. If you pawned your title, and if the vehicle is worth significantly more than what you owe on it, and if it has been repossessed recently and it has not been sold, call us to discuss the circumstances. This is a difficult and evolving area of the law. Each case is different, but we may be able to help you. Call one of our lawyers at 770-683-3303 to discuss it.